From our collection of natural wood bedroom furniture comes this brand new shabby chic bedside cabinet. Handcrafted and carefully built by experts, this bedside will work in a variety of bedroom settings. 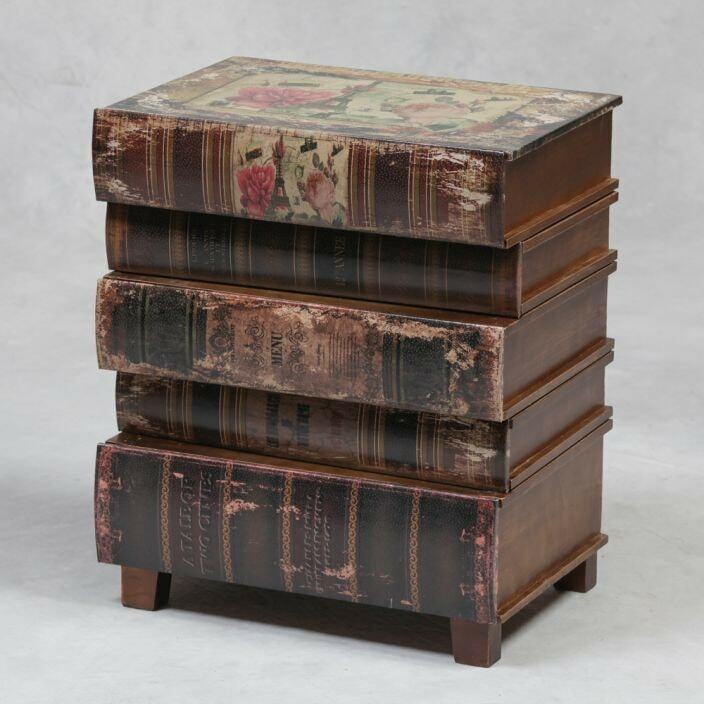 Featuring a wonderful and unique stacked book design, you are sure to be impressed.